"Very pleased with the speed and standard of repair to our diesel engine. Please thank your technicians for going the extra mile to ensure it was finished on time." "Another first class repair from your technicians. Please thank them for a timely repair and for working so hard under difficult conditions. Our engine is back up and running with no problems." "Our thanks for a speedy in-situ machining job on our Ruston crankshaft." Wherever you are in the world Nicol & Andrew Group can provide you with teams of experienced repair technicians and precision equipment to cope with a huge range of crankshaft grinding and repair problems. Having been in operation since 1950 our knowledgebase is considerable. We can quickly call on a vast range of on-site machining skills and experience regarding crankshaft repairs (including crankpins and main bearings) on large and small engines. Nicol & Andrew Ltd have become a world-renown provider of emergency crankshaft grinding (on site & insitu) to all major industries in all four corners of the globe. We provide these crankshaft repair services to all industries including - marine, power generation, steel production, petro-chemical, process, offshore and mining. 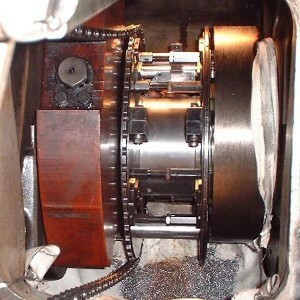 A range of crankshaft grinding, machining and repair services carried out onsite without shaft rotation, including crankpin machining, main journal grinding, crankshaft annealing, cranskshaft straightening plus many more. Save your heat damaged crankshaft from the scrap yard and avoid a big insurance claim. 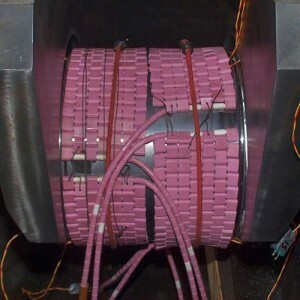 Recover a heat damaged crankshaft journal (crankpin) insitu using our proven crankpin annealing process. Nicol & Andrew carry out many turbine journal repairs each year world-wide without rotating the shaft. 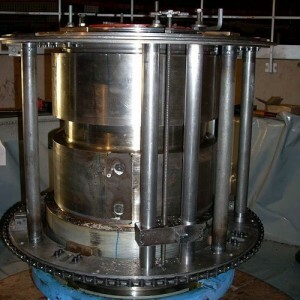 We repair GE, Alstom, Siemens, AEG to OEM standards including the surface finish. 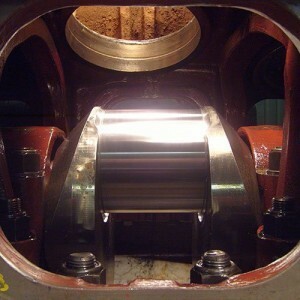 Find out where it is possible to use an Insitu crankshaft repair service, (e.g. aboard ship or in a power station). What sort of equipment it can be used on and what sort of repairs are available. Our engineers are constantly on the move world-wide carrying out onsite machining of crankshafts, diesel engines, tailshafts, turbine shafts, fan shafts, pump shafts and a host of other items of industrial and marine plant including ancillary equipment. Part of the Nicol & Andrew Group, the on site engineering metal stitching and laser alignment specialists. Note we have very recently moved from Southall to a new factory in High Wycombe.